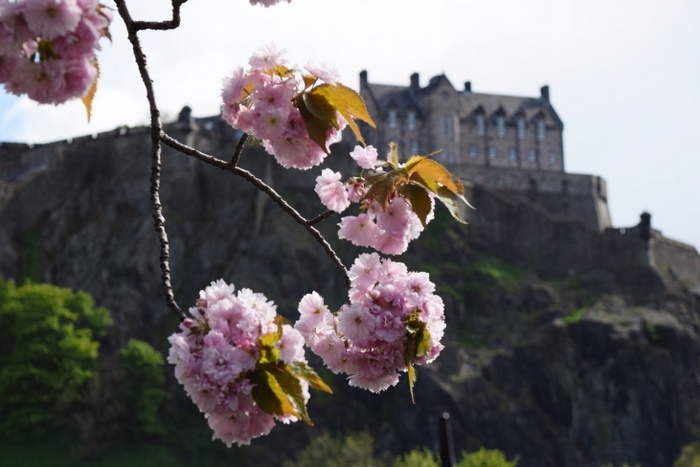 On my first day back in Edinburgh last May, I took one look at the blooming cherry blossom trees – a wispy spectrum of pink and white blanketing the city – and instantly declared spring to be my favourite time of year here. After one year, and all four seasons, I can confidently say spring is still my favourite season in Edinburgh. A lot has happened in the past year. I fell in love with Budapest and spent a gluttonous week in Berlin. I conquered my first munro and experienced the magic of Skye. I road tripped around the Isle of Mull and celebrated St. Patrick’s Day in Ireland. As monumental as these experiences were, it’s the time I spent in Edinburgh, the ordinary, fleeting moments that really defined the past 365 days of my life. The afternoons spent wandering aimlessly among the city’s cobbled streets, camera in hand. Catching a glimpse of the fiery sunrise over Arthur’s Seat on my way to work, the sky ablaze with hues of amber and violet. Waiting for the bus on Princes Street beneath the imposing silhouette of the castle in the darkness. Before I came here, I worried Edinburgh’s beauty might become typical, mundane even. But my feelings for Edinburgh haven’t waned – I’m more enamoured with it each day. One year later and I still stand in awe of the castle, perched on that jagged cliff in the centre of the city. My heart still flutters when I walk the winding Old Town streets. I’m still captivated by the views from Calton Hill and Arthur’s Seat, the city’s skyline akin to a painting. I still smile when I hear the staccato melody of bagpipes echoing throughout the city. These quirks and sights and sounds have become part of my everyday life here. Edinburgh’s moody skies, verdant hills, and brackish seas have coloured the past year of my life, the contrasting greys and blues and greens an ever-imposing backdrop. And yet, I can’t quite articulate what Edinburgh means to me, what it has become. It’s a place that makes me smile and leaves me in awe. It’s a place that makes me feel alive and inspires me. It’s a place that moves me, that makes me feel so lucky to live here. But most of all, it’s a place that’s come to feel like home. As I see the cherry blossom trees in full bloom once again, I can’t help but think back to the person I was when I arrived a year ago: excited and nervous and wide-eyed, my uncertainty masked by an enthusiastic smile. This year, however, I’m feeling a bit more assured, more confident with the trajectory in which I’m headed, and I have Edinburgh to thank for that. Has moving abroad changed your life in any way? Thanks, Hayley 🙂 Enjoy your return to Vancouver! How long are you heading back for? 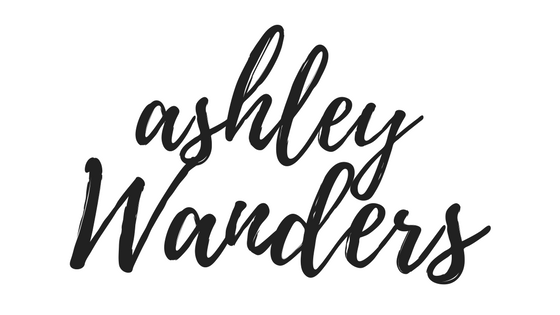 Congrats on your one year anniversary, Ashley! I’m so glad to hear you’re as enamoured with Edinburgh as you were as when you first set foot there. Here’s to another year! I’m moving to Edinburgh in September, so I really enjoyed reading this! It made me really excited! If I can ask, what kind of work did you end up finding? Glad you enjoyed it, Rachel! When I first arrived, I worked a few temporary administrative positions, and I’m now working as a document transcriber. If you don’t mind me asking how much money did you start off with when you first moved here? 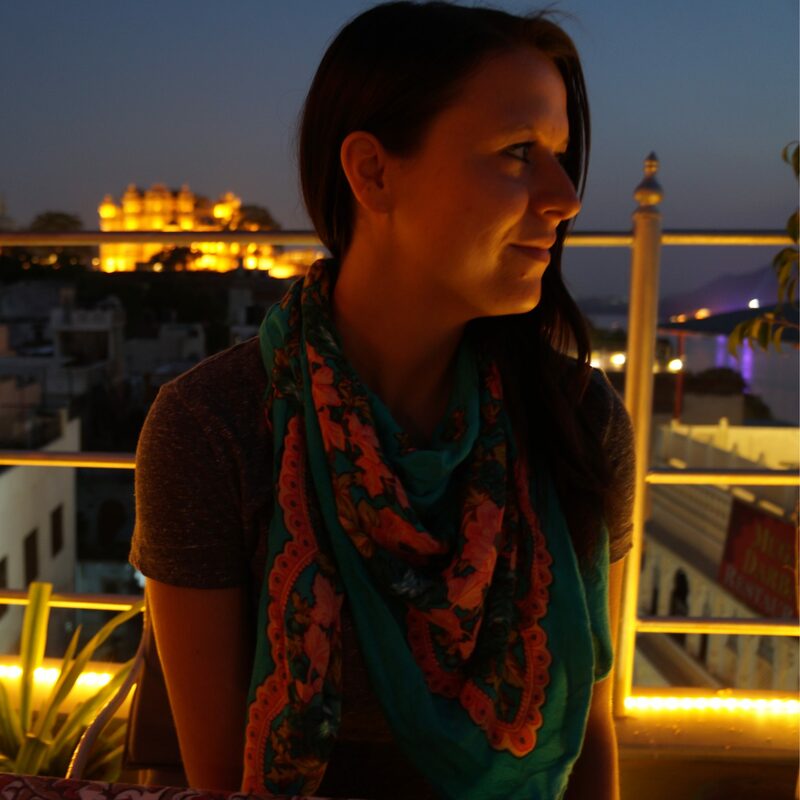 I am hoping to head there next year on a youth mobility visa 🙂 so happy I found your blog! Glad you found it as well, Cassie 🙂 I came over with around $6,000 (Canadian) saved up, I believe! Such a lovely post, Ashley. I love when a new country/city/town really feels like home. I felt that way with Sydney. I swelled with pride whenever I walked around or talked about it. It was my home and it changed my idea of what home really was I think. Thank you, Laura 🙂 I loved Sydney as well, and can see why you felt so proud to live there. This made me cry! 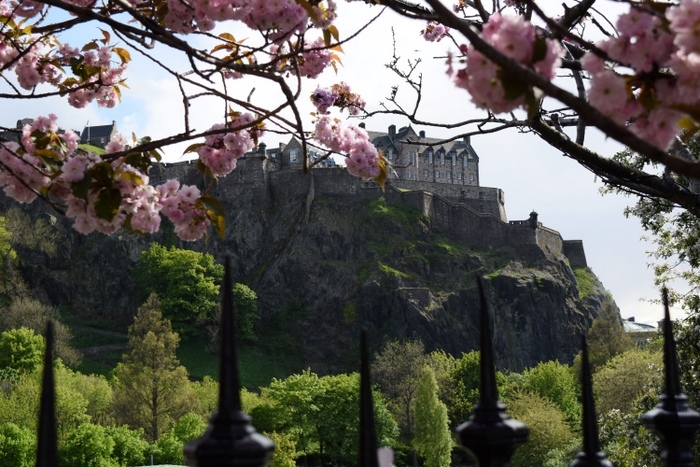 I miss Edinburgh so much… Spent 6 months there this past year, and applying to jobs to try to get sponsored. That seems to be the only option for a US citizen, my wee aching heart. I know you are Canadian, but if you have any advice or leads for where to look for work (willing companies to sponsor/hire Americans, resources, etc), I would be indebted to you. You’re so sweet! Yes, I’ve had my eyes on the University and may have applied to a job I want the baddest! Wish me luck :). Best of luck to you, too! When you love Scotland, certainly nothing else will do, huh? I know you know! <3 I will keep you in the loop on my travels and would love to bump into you for some Kanpai or whisky to celebrate our mutual extensions. Goodluck, I hope you get that job! You’re so right – nothing else compares when you love Scotland 😉 Definitely let me know if you’re heading back to Edinburgh so we can grab a drink!